I know what you’re thinking – girl moves to Los Angeles, lives there for a few months, and starts making edibles. Well, it’s not an inaccurate statement, but before you write me off as a California hippie, YOU GOTTA TRY THESE THINGS. I was invited to a party in Hollywood a little while ago. It was everything you’re probably thinking based on that brief description – swanky, exciting, at a huge house, and packed to the brim. As I stood at the top of this mansion and looked out into the glow of the city lights in front of me, I swore my life had hit its peak. Anyways, in the backyard of this stunning house, there was a small table with samples from KIVA Confections, because this is California, and why not. KIVA creates cannabis-infused treats, like chocolate bars, mints, and chocolate-covered items. I had tried a few edibles in my day (shhh, don’t tell my mom), but these really stood out to me. Not only were they medicated, but they tasted amazing. I’m a chocolate snob if you’ve ever met one, and these were LEGIT. I knew immediately I wanted to created something in my kitchen with this chocolate. 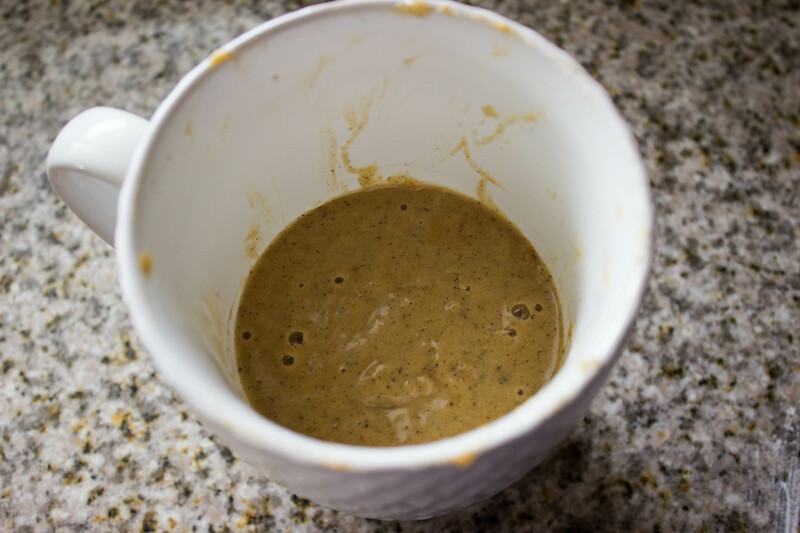 So, I decided to make my keto bacon chocolate chip mug cake, turn it into cake balls, and use the KIVA chocolate to coat them. To say this was a success was an understatement. Not only do these balls get you high (but not too high! ), they also taste amazing. I even took them to work (a.k.a. the FOODBEAST office), and they were a huge hit. Don’t be afraid to try them for yourself! 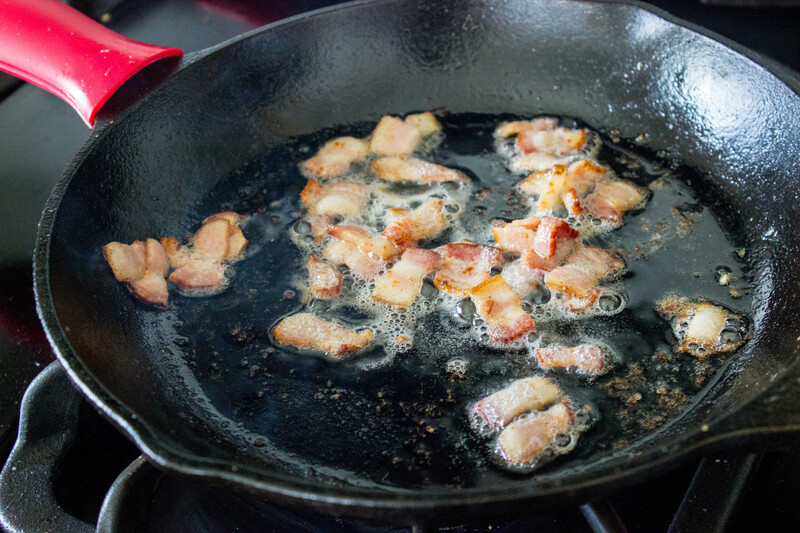 In a small frying pan, cook diced bacon for 2-3 minutes, or until completely cooked. Remove to a small plate lined with paper towels to absorb the grease. 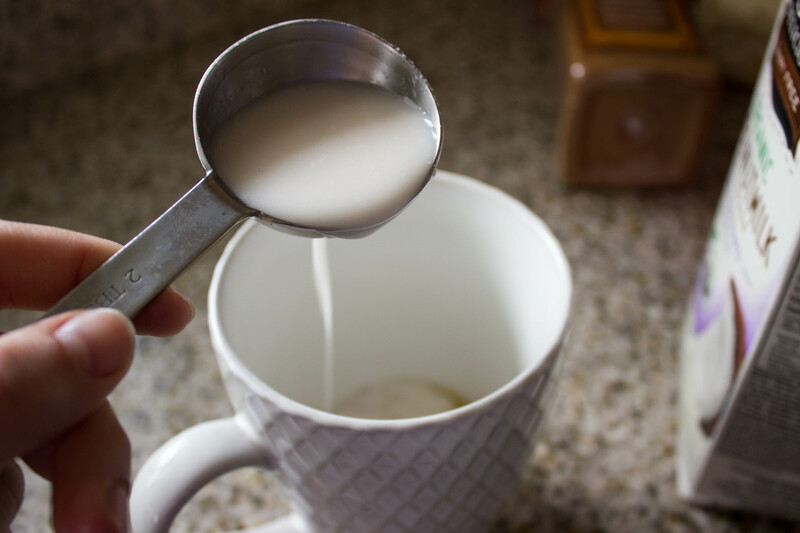 In a microwave-safe mug or ramekin, combine egg, milk, cinnamon, almond flour, baking powder, vanilla powder, monkfruit sweetener (or whatever you’re using for sugar), and almond butter. Fair warning, you might want to use a taller mug because this baby RISES!! Using a fork, mix ingredients until fully incorporated. You might have to whip it a little extra to get that almond butter to break down. 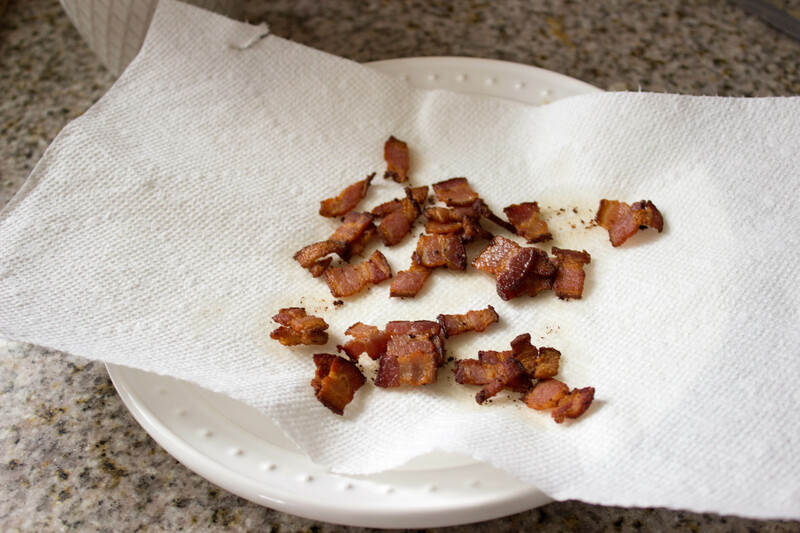 Pat your bacon with paper towels to eliminate as much grease as possible. Move to a cutting board and chop finely. 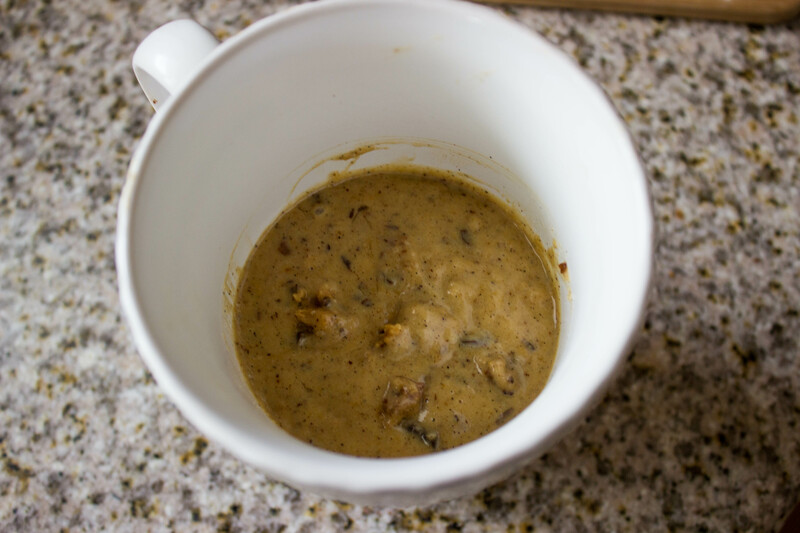 Once you have a smooth batter, mix in about 3/4 of your chopped bacon. 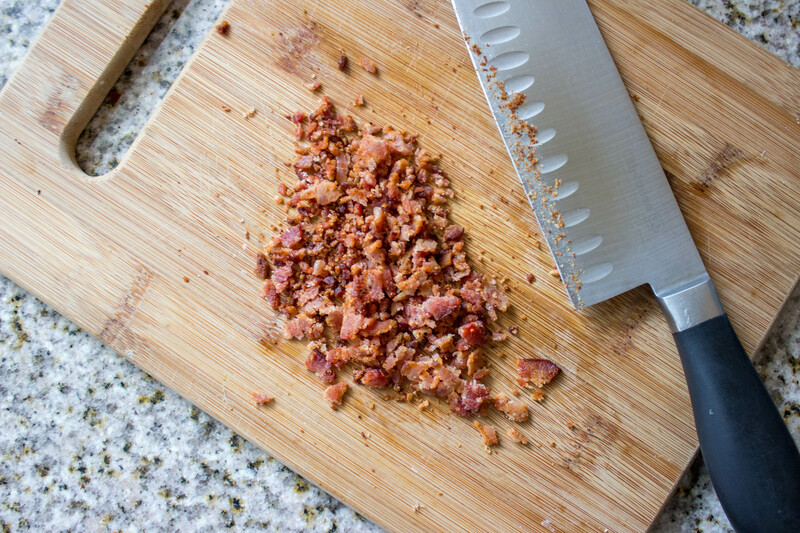 Keep the other 1/4 of the chopped bacon to use as garnish at the end. 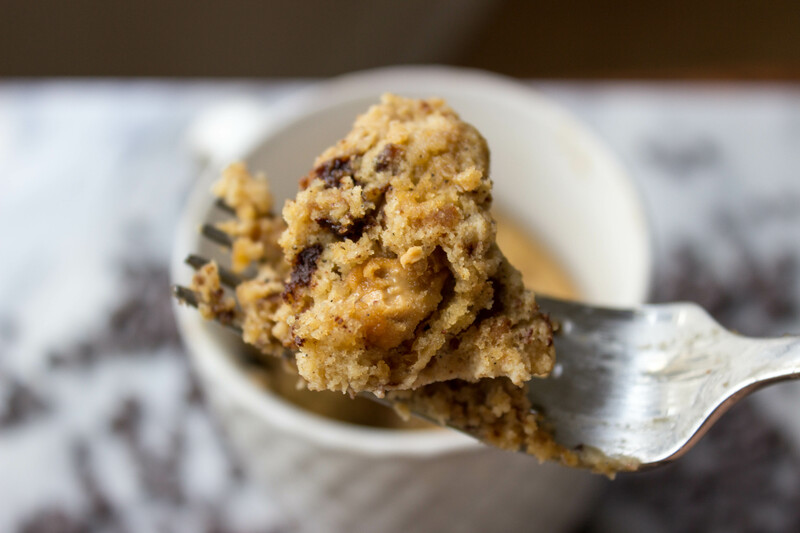 Chop 1 to 1 1/2 squares of the Kiva chocolate (depending on how turnt you’re tryna get) to a chocolate chip consistency, and add to the mug. Place in the microwave for 1 minute and 30 seconds. 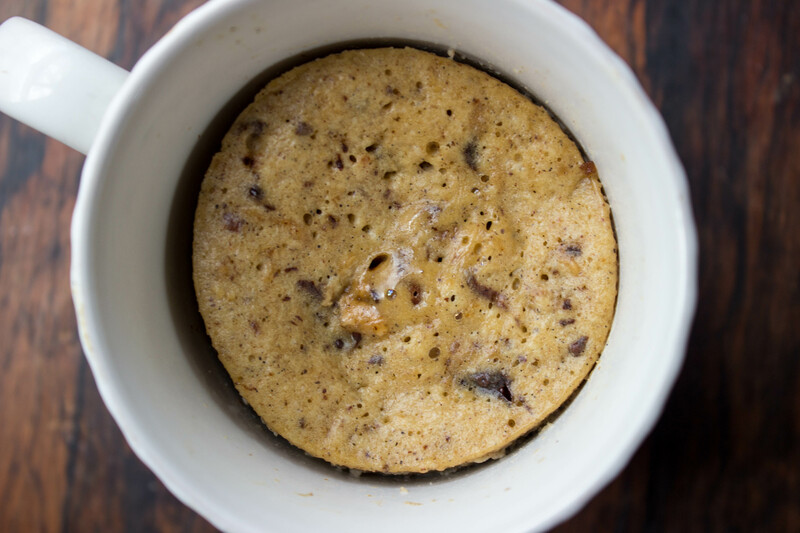 Let mug cake cool for a minute or two. 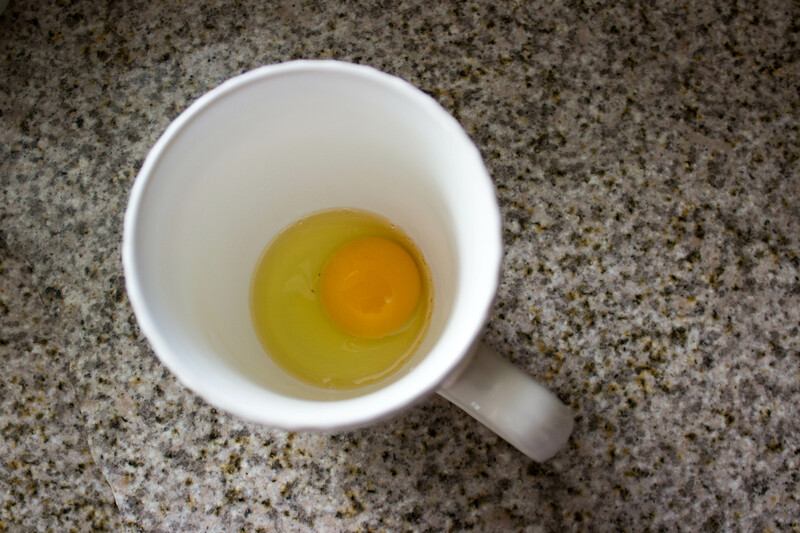 Transfer mug cake to a plate, 8×8 pan, or something comparable. Crumble the cake and spread it out evenly. Place in the freezer for 10-15 minutes, or until crumbled cake is fully cooled. Line a baking sheet with parchment paper. 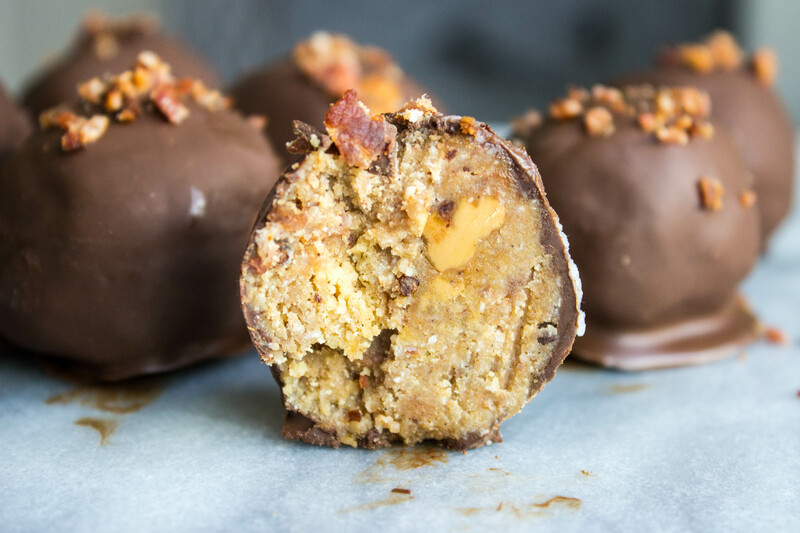 Form batter into 1-inch-ish balls, and place on parchment paper. This amount of batter yielded me 7 cake balls, but I could easily see it yielding 6, especially if you have a higher tolerance. 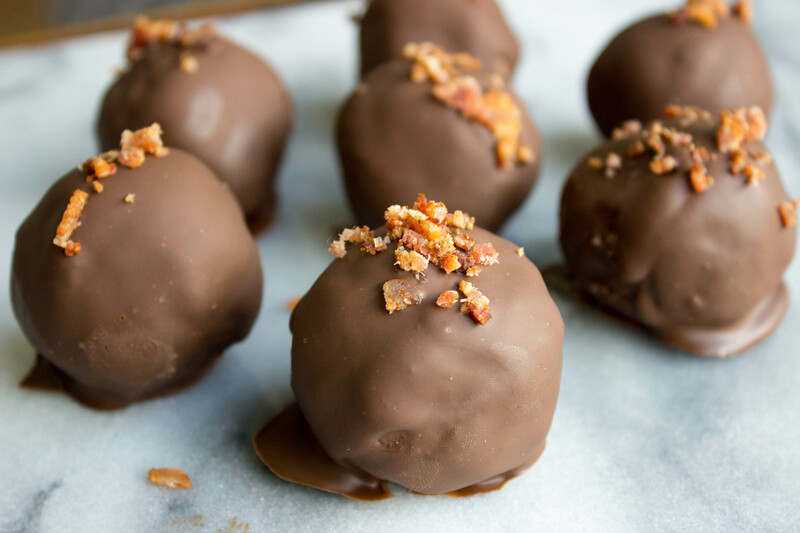 Place cake balls in the freezer for 5-10 more minutes, or until they are hard to the touch. While cake balls are freezing, add 1-2 inches of water to a saucepan and bring to a boil. 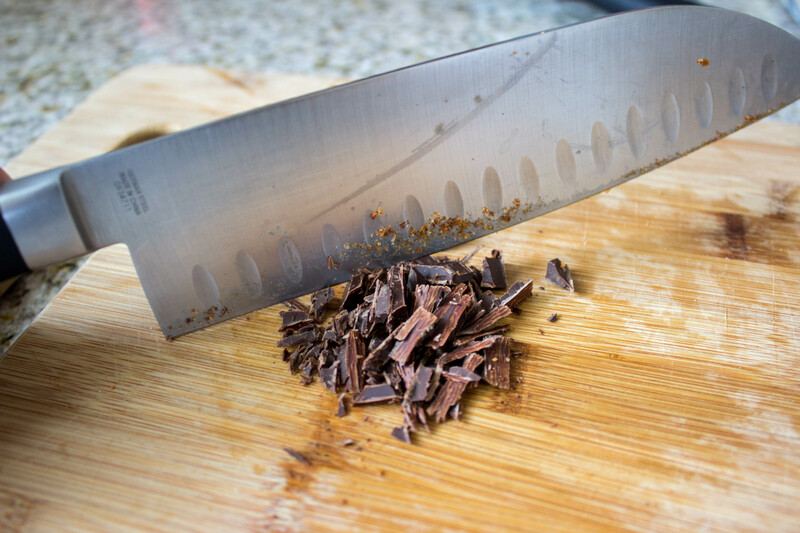 Chop the remaining 6 pieces of your Kiva chocolate. 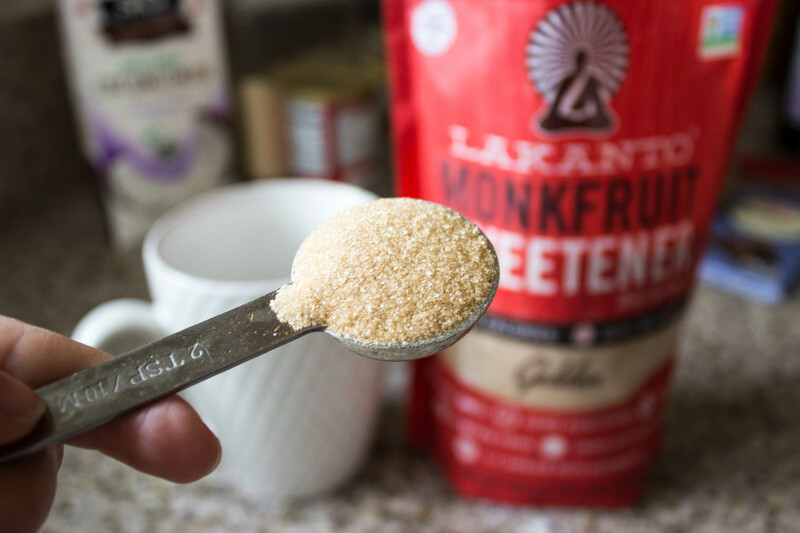 Add to a heatproof glass bowl, along with 3/4 tablespoon coconut oil. Place glass bowl over boiling water, creating a double boiler. Slowly stir chocolate and coconut oil until fully melted and combined. Remove from heat. Dip each fully chilled cake ball in melted chocolate, coating entirely. Place back on your baking sheet with parchment paper, and sprinkle with leftover chopped bacon. Place back in the freezer for 5-10 minutes, or until chocolate is fully set. ENJOY! Each cake ball has 10-11mg of THC, so be aware. Store in the refrigerator.